Special Containment Procedures: Due to the poorly understood nature of SCP-2034, containment at this time is impracticable. Foundation assets and personnel assigned to SCP-2034 are instead to be focused on monitoring outbreaks of SCP-2034 occurring among private citizens, and administering amnestics as needed if and when SCP-2034's effects cease. In the event of a highly public SCP-2034 occurrence (as in the case of a celebrity or other public figure), MTF Upsilon-89 ("Nobodies") are to take measures to minimize the affected individual's public exposure, if practicable, until such time as SCP-2034's effects cease to affect the individual. Following the cessation, Foundation personnel are to monitor online discussions relating to SCP-2034 and, in cooperation with manufacturers of video and photographic equipment, engage in a disinformation campaign to "normalize" reports of SCP-2034 as much as feasible. Furthermore, Foundation assets assigned to SCP-2034 are to cooperate with major media outlets to suppress certain movies/TV shows/video clips involving minor celebrities affected by SCP-2034. "Out of print" copies of these movies/TV shows are to be purchased from resellers and third-party merchants if practicable. Description: SCP-2034 is a phenomenon in which a number of individuals2 cease to be perceived as living beings by digital media, such as photographs and video recordings. Affected individuals are instead depicted as an inanimate puppet or "dummy", to be labeled SCP-2034-A. It is unknown whether SCP-2034's effects are sensory or memetic as instances of SCP-2034-A are not identified by sight alone. Further instances of SCP-2034-A began to come to the attention of the Foundation, either as they were discovered or ascribed after the fact, predominately involving celebrities and/or public officials.3 Additional instances of SCP-2034-A were continue to be positively identified through photographs and video recordings, including footage dated as far back as 1900. Incident 34-1: At some point between ██/██/2010 and █/██/2011, actor ███████ █. ████████, who had previously been positively confirmed as an instance of SCP-2034-A, ceased to display the effects of SCP-2034. All photo/video footage of the actor depicted a non-anomalous ███████ █. ████████ where previously the image of a ventriloquist dummy was identified. An interview conducted with Mr. ████████ yielded nothing anomalous, either to individuals on the scene or in security footage taken during the interview. Following the incident, previously confirmed instances of SCP-2034-A were reviewed again by Foundation personnel. Of the reviewed photographs and video footage, 45% no longer displayed the effects of SCP-2034. Additionally, new instances of SCP-2034-A were discovered in previously disqualified footage. Due to the lack of information regarding SCP-2034's effects, it is unknown if individuals previously affected can become affected once again, or if certain individuals' effects are permanent. As such, a listing of confirmed instances of SCP-2034-A is restricted to personnel assigned to SCP-2034 only. Addendum: After ██ years of monitoring, a rough timeline of SCP-2034's effects has been established. Of those observed, all but one have experienced a cessation of SCP-2034's effects over a period of 4 - ██ years. The sole remaining case is that of British actress Tobritza Pemberton (1896-1950), whose works continue to display the effects of SCP-2034. 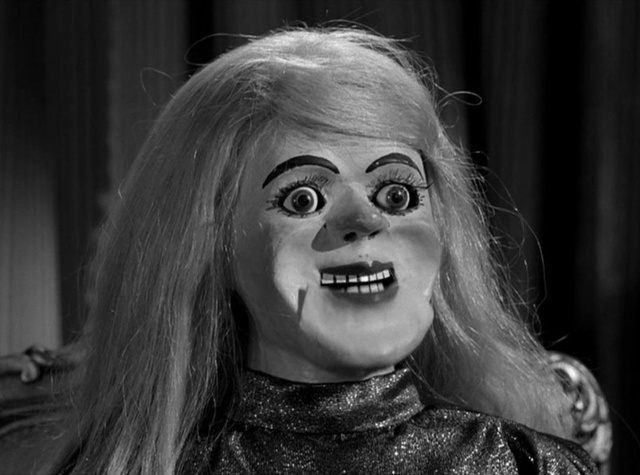 MTF Upsilon-89 began to notice a sharp increase in online searches for "Tobritza Pemberton", "Toby Pemberton wooden", and "vintage dummy actress", as well as torrents of Ms. Pemberton's surviving films, all displaying the effects of SCP-2034. Due to the lack of change in the anomaly, the Foundation launched a concerted effort to seize all surviving physical copies of Ms. Pemberton's films, (including original negatives and copies, home video releases, and as many home-recorded copies as possible) and suppress all information of Tobritza Pemberton. Screen capture of Tobritza Pemberton in "██████████ █████" 1928. Screen capture was taken prior to Ms. Pemberton's SCP-2034-A identification. - Beginning on ██/█/2012, Foundation agents began to infiltrate British governmental agencies to remove all records and references (including birth, census, contracts, [REDACTED]) to Tobritza Pemberton. Other records were altered to remove or otherwise re-appropriate references to Tobritza Pemberton to female ancestors of picked Foundation agents. - Surviving friends and family members were administered varying classes of amnestics, removing all memories of Ms. Pemberton's occupation. Family photo albums and home videos were briefly confiscated to allow for manipulated duplicates to replace the originals. - Attempts to track and delete digital copies of Ms. Pemberton's films were generally ineffective, necessitating action to discredit the supposed authenticity of the films still in circulation. Foundation agents began taking over seeding torrents of the films under new titles and including fictitious introductory credits attributing the voices of Ms. Pemberton's characters to lesser-known voice actresses. As of 2014, the number of torrents bearing the fictitious names outnumber the original torrents by ██%. 1. Doctor's Note: This is in no way an effective or permanent solution, short of amnesticizing much of the world's population. All actions taken in containment are designed to limit the exposure of SCP-2034, and to eliminate any potential patterns from becoming publicly known. 3. Note: This is likely due to the highly public nature of such individuals, rather than any coherent connection between public officials and SCP-2034.